It seems that everyone wants to know more about castles in Transylvania, Romania and seems that there have been some requests for another post on castles. Since I have already done posts on both Bran Castle (Dracula’s castle) and Cachtice Castle (Elizabeth Bathory’s castle), for this post I chose Magna Curia or Bethlen Castle, as it is more commonly known. 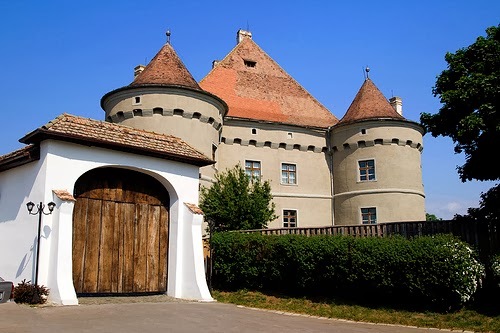 Bethlen Castle was built in 1582 by the Hungarian captain Ferenc Geszty at the foot of a hill. This is not exactly the most strategic place to build a castle. Most castles are built on top of a hill, not at the foot of one. Its style is based on the original castles, called Motte and Baileys castles. These castles were fairly basic-looking keeps built at the top of a hill. The cool thing was that they built some of the hills from the dirt that they dug up from the where they put the moat. This put them on higher ground, giving the defenders the advantage if they were attacked. This historical context made it even harder for me to understand why anyone would build Brethen Castle at the foot of a hill. It would be the worst place for a castle from a strategic point of view. Then again, this castle was built during the Renaissance, when people building castles were more concerned with how a castle looked and not what strategic placement it had. One of the men who lived in this castle was Sigismund Bathory. Sigismund joined the ranks of Christian princes fighting against the Turks in 1588, and it was he who signed the treaty that brought Wallachia under the sovereignty of Transylvania. Sigismund became Prince of Transylvania, ruling from 1599-1608. 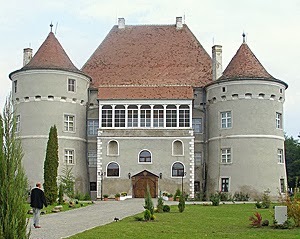 Gabriel Bathory also lived in Bethlen Castle. He ruled as Prince of Transylvania from 1608 until 1613. I find it interesting that two members of the Bathory line ruled as Princes of Transylvania during the life span of Elizabeth Bathory and that Gabriel Bathory died the year before Elizabeth Bathory was found out and put to death. It was Gabriel Bathory who renovated Bethlen Castle. After the renovation, the building became known as Magna Curia. It was these renovations that made the building a good candidate to become a museum, and it was converted into one in 1882. Specifically, it became the Museum of Dacian and Romania Civilisation. Part of the reason Magna Curia was made into a museum was because it is located in Deva. 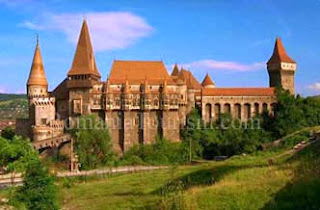 The city of Deva was the capital of Transylvania for a period of time. The museum contains ethnographic, numismatic and natural science exhibits. I like the fact that some of the old castles of Transylvania have been turned into museums. This means that not only can people see the exhibits being shown, they get to see the castles themselves. It also means that the castles are maintained and will not just fall into ruin like some castles in other countries.